All Paul McCartney items listed below are authentic and very limited. We do not carry multiple items. All prices and availability are subject to change. All prices include shipping and handling for all USA customers. All other destinations will require actual shipping cost to complete transaction. Have a question? Ask us before purchasing the item. Thank You. 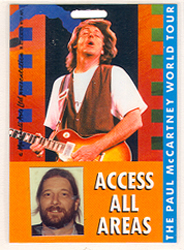 Description: 1989 Paul McCartney World Tour Band Laminate. 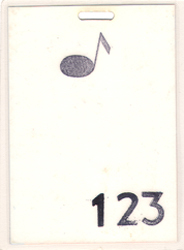 Official Tour laminate owned and used by sound engineer David "Cowboy" Conyers. Front and back pass displayed. NOTE: Item is VG+ condition and has a photo of Cowboy under laminate. Laminate comes with nylon landyard. Description: Paul McCartney World Tour promo Tour Book. This book was handed out at the end of each show. 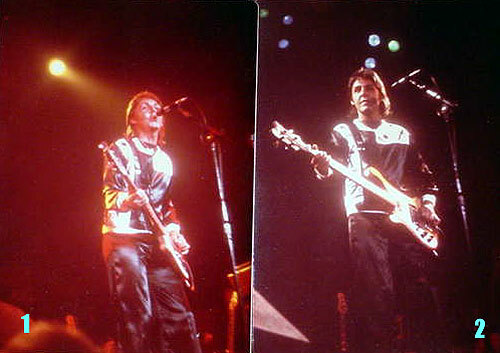 Photos and insight of the tour and Paul McCartney. 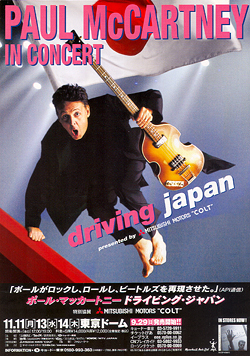 Description: 7x9 full color Paul McCartney 2001 Japanese concert handbill. 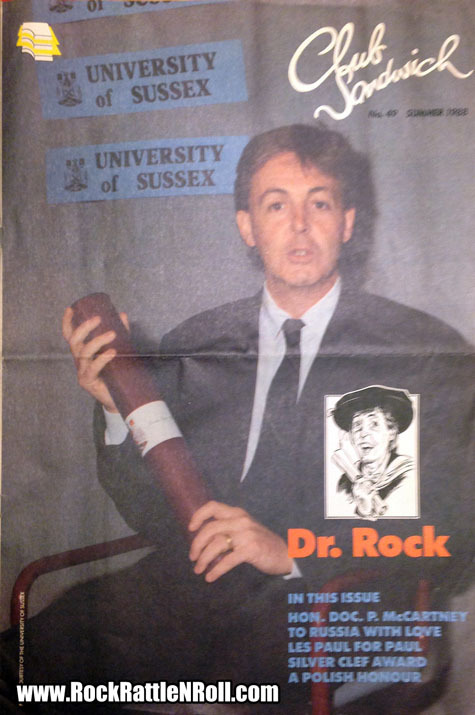 Description: Paul McCartney 1988 Club Sandwich University of Sussex. 11x17 color cover BW pages. Full Paul McCartney issue. Note: Is folded, creased in the middle. Overall VG+ condition. 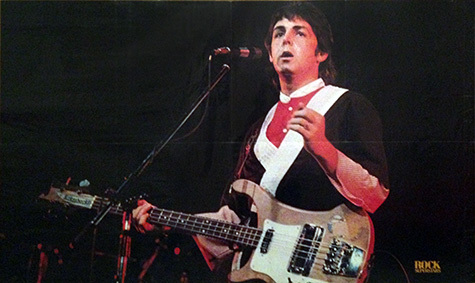 Description: Paul McCartney Rock magazine foldout poster. Note: This item VG+ condition. Comes folded, has creases. 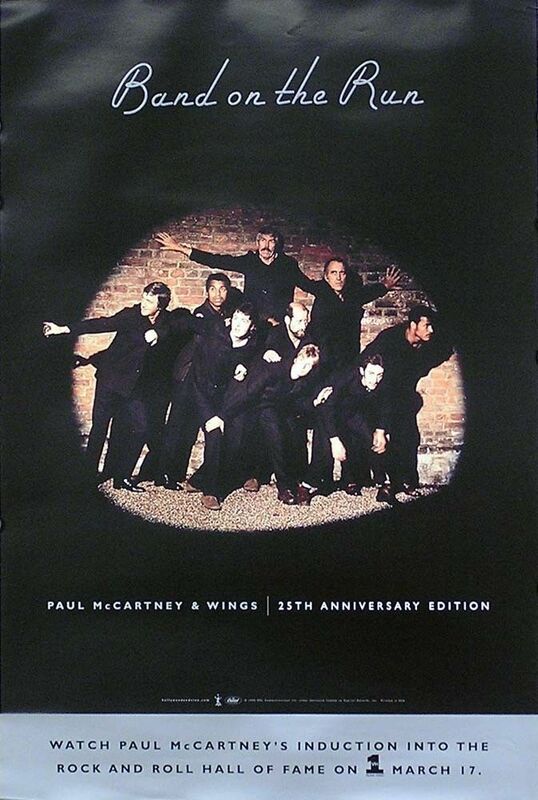 Description: Paul McCartney Band On The Run 25th Anniversary Promo Poster. Note: This item VG condition. Some wear, creases, bottom gray is folded.